PARTNER NEWS: NFC pioneer NXP and mobile processor maker Qualcomm have extended a collaboration which saw NXP’s NFC and embedded secure element (eSE) solutions built into reference designs for Qualcomm Snapdragon 800, 600, 400 and 200 processor based platforms to now also include pre-validation for NFC-based transit services, particularly those in China. 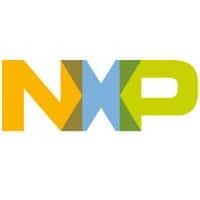 “NXP is supporting a rapidly growing number of OEMs and Chinese public transport operators in major metropolitan areas like Shenzhen and Guangdong with the deployment of secure, NFC-based mobile solutions,” says Rafael Sotomayor, senior vice president of the secure mobile transactions business line at NXP. Barcelona, Spain (Business Wire), 22 February 2016 (Mobile World Congress 2016) – NXP Semiconductors N.V. (NASDAQ:NXPI) and Qualcomm Incorporated (NASDAQ:QCOM) through its subsidiary, Qualcomm Technologies, Inc., today announced the integration of industry-leading near field communication (NFC) and embedded secure element (eSE) solutions across Qualcomm® Snapdragon™ 800, 600, 400 and 200 processor platforms. The end-to-end solution now includes pre-validation of mobile transaction services including transit and payment. At Mobile World Congress 2016 in Barcelona NXP will demonstrate functional mobile transit ticketing using a Qualcomm Technologies’ QRD platform (Hall 7 Stand 7E30). Qualcomm Incorporated (NASDAQ: QCOM) is a world leader in 3G, 4G and next-generation wireless technologies.Qualcomm Incorporated includes Qualcomm’s licensing business, QTL, and the vast majority of its patent portfolio.Qualcomm Technologies, Inc., a subsidiary of Qualcomm Incorporated, operates, along with its subsidiaries, substantially all of Qualcomm’s engineering, research and development functions, and substantially all of its products and services businesses, including its semiconductor business, QCT. For more than 30 years, Qualcomm ideas and inventions have driven the evolution of digital communications, linking people everywhere more closely to information, entertainment and each other. For more information, visit Qualcomm’s website, OnQ blog, Twitter and Facebook pages.